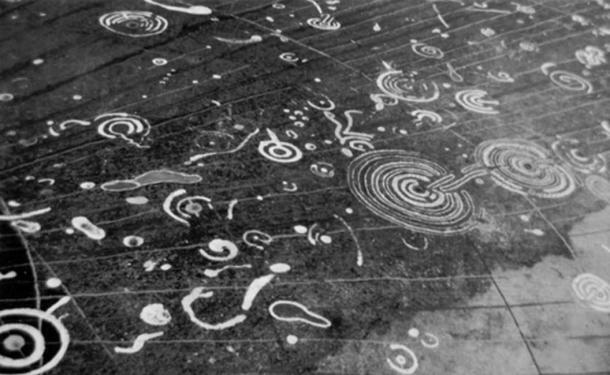 Out Of Mind » GALACTIC AWARENESS » HISTORIES MYSTERIES » The Cochno Stone: A MASSIVE 5,000-year-old cosmic map? 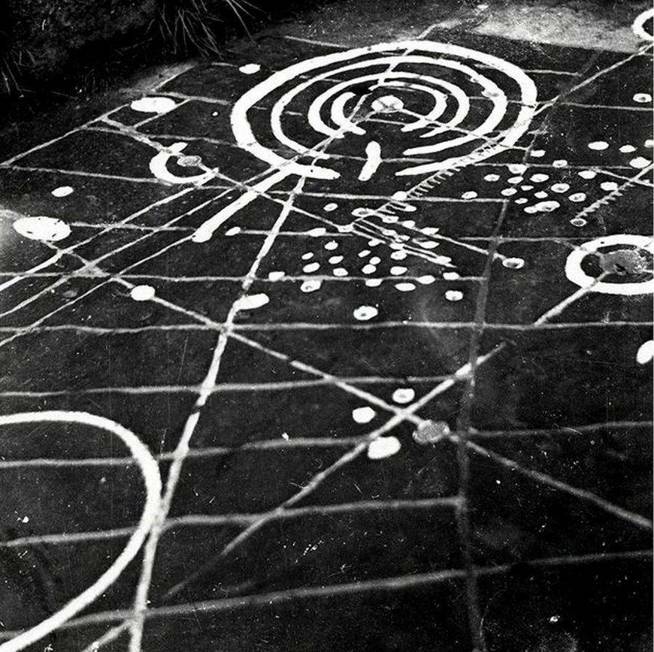 Detail of cup and ring markings on the Cochno Stone. Image credit: Royal Commission on the Ancient and Historical Monuments of Scotland. 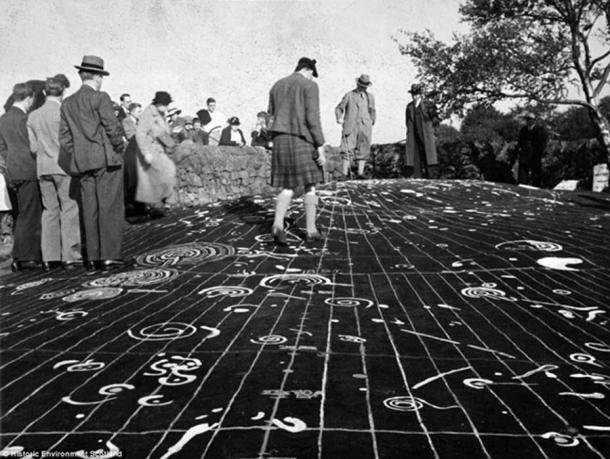 The Cochno stone. 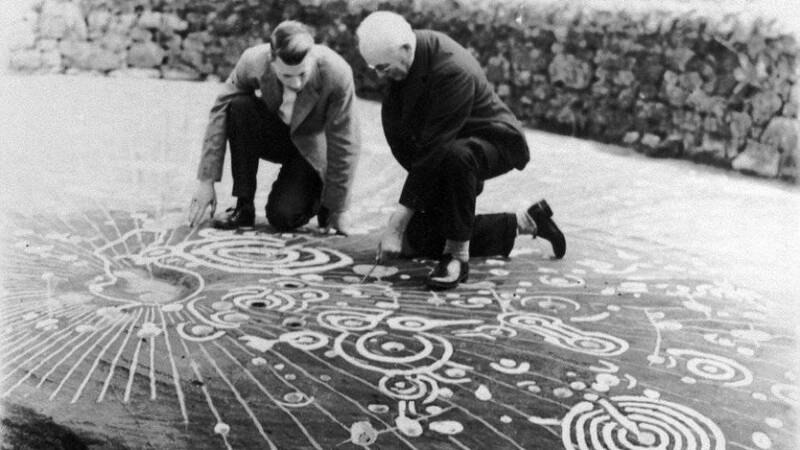 Image credit: Historic Environment Scotland.